How can I stop a "stainless steel" ring from rusting and protect it? 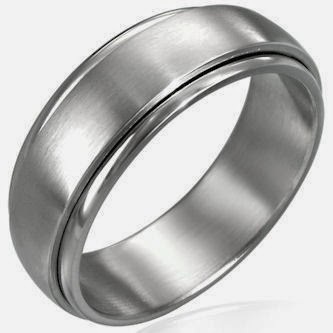 I bought a "stainless steel" ring, but its starting to rust on the inside after only 3 hours. It clearly says on the label, "Stainless Steel..will last a lifetime". I don't know what to do, but I really like the ring. I would like to protect it permanently, but not at a high cost. All suggestions would be appreciated. Jules- My finger isn't turning green, but brown. However, I did put a coat of clear nail polish on it. I know this wont last forever, so I'm looking for a more permanent solution. I also understand that the label might be false and that the Stainless steel ring is not completely SS. The outside of the stainless steel ring looks normal. So, with that in mind, I wonder if there is any paint or coating I can purchase that I can put on it for not too much money. Is it also turning your finger green? A coat of clear nail polish every now and then should stop the problem. Make your Stainless Steel easy to keep clean, Stop Corrosion and Rust, Prevent fingerprints and smudges too. ProtectaClear is a tough, durable clear protective coating that protects stainless steel from corrosion, salt air pitting and provides excellent fingerprint and smudge prevention. Stainless steel surfaces protected with ProtectaClear will be much easier to keep clean and will never darken as it will with oily protectants. USE ON Architectural metal, monuments, building exteriors, restaurant equipment, stainless steel refrigerators, Stainless Steel sinks, Stainless Steel Barbeques and much more. ProtectaClear is easy to apply, self-leveling, it will blend to itself so touch-ups are easy. Apply ProtectaClear on metal that is completely clean and dry. 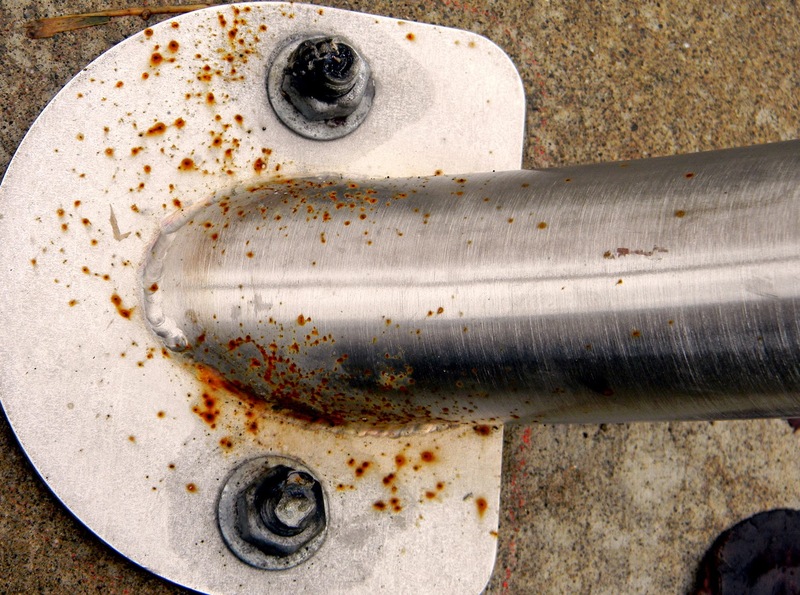 If the stainless steel is already corroded or rusty, clean the corrosion or rust from the stainless steel first. Everbrite has a stainless steel cleaner that will safely remove staining, corrosion, teastaining or rust. You could also use a no-scratch cleanser or pad - always cleaning with the grain. Do not clean in circles or against the grain. Cleaning with no-scratch cleanser or abrasives is not recommended for use on mirror finishes. If an acid cleaner is used, the surface must be neutralized. Wash off the residue with EZ-Prep Cleaner let dry, wipe with a solvent like xylene or denatured alcohol (available in hardware stores) to remove any residue or fingerprints and then ProtectaClear can be sprayed on, rolled on the surface with high-density foam rollers, wiped on with a clear-coat applicator or sprayed on with paint sprayers. 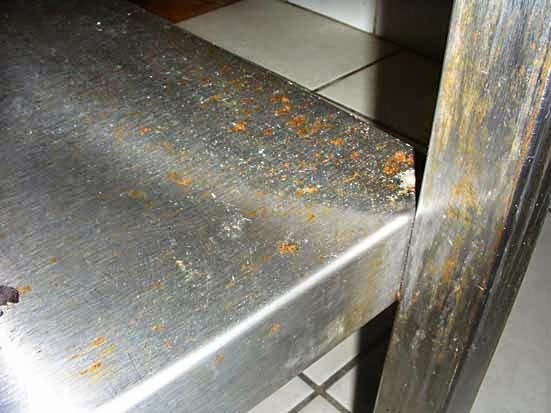 If the stainless steel is not corroded or oxidized, the cleanser step can be skipped. If there is oil, wax or silicone on the stainless, it must be removed prior to coating. If you have new stainless or if you have already cleaned your stainless, order ProtectaClear Coating only. If you have rusted or corroded stainless steel, we have Kits available with Stainless cleaners, neutralizers, applicators and ProtectaClear.